Hello, again friends! Jerica here and today I am bringing you a lovely crochet cable pattern! Haven’t tried cables yet? No worries! I have created a video tutorial for you at the end of this post! 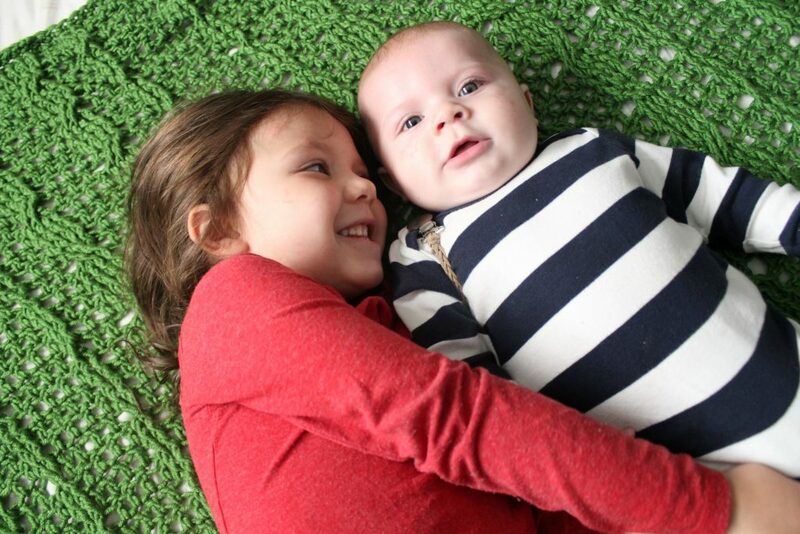 If you are wanting a luxurious blanket this Fall season then look no further than the Oregon Throw! 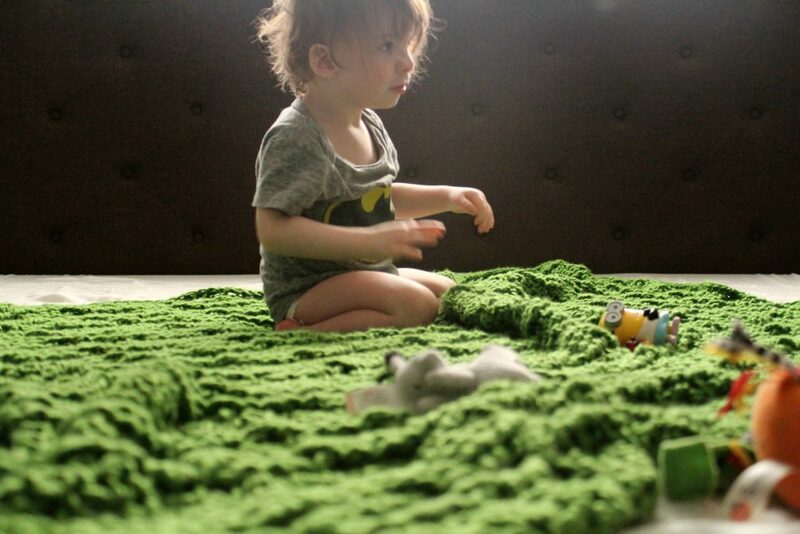 Inspired by nature I created this blanket with the great outdoors in mind. 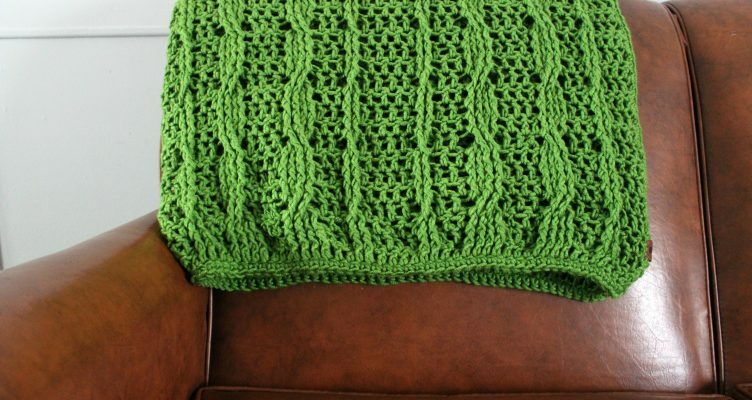 Using the excellent Hobium yarn Kartopu Lake Knitting Yarn in the color green, I believe I captured my vision perfectly! Row 1 – DC in the 4th CH from the hook. Continue with DCs all the way across. CH 3. Turn. Row 2 – ((CH 3 counts as first DC)), DC into each of the next 3 sts. * FPDC (front post double crochet) into the next two stitches ((watch video for instructions on this stitch)), DC, DC, 4 FPDC into the next 4 sts, DC, DC, DC, 4 FPDC into the next 4 sts, DC, DC, 2 FPDC into the next 2 sts, DC, DC, DC, DC. Repeat from * all the way across ending with a DC in the top of the CH 3 of the previous row. CH 3. Turn. Row 3 – ((CH 3 counts as first DC)), * BPDC (back post double crochet) into the next 2 sts, DC, DC, 4 BPDC into the next 4 sts, DC, DC, DC, 4 BPDC into the next 4 sts, DC, DC, BPDC into the next 2 sts, DC, DC, DC, DC. Repeat from * all the way across. CH 3 Turn. Row 4 – ((CH 3 counts as first DC)), DC into each of the next 3 sts. *skipping over the first post st you place a FPTC (front post triple crochet) into the next st. ((watch video for instructions on this stitch)) WORKING BEHIND you will place a FPTC into the skipped st. Working forward you will DC, DC. Skipping over the first 2 post sts place a FPTC into the next 2 sts. WORKING BEHIND you will place a FPTC into the 2 skipped sts. DC, DC, DC. Skipping over the first 2 post sts place a FPTC into the next 2 sts. WORKING BEHIND you will place a FPTC into the 2 skipped sts. DC, DC. Skipping over the next post st, place a FPTC into the next st. WORKING BEHIND place a FPTC into the skipped st. Repeat from * ending with a DC in the top of the CH 3 of the previous row. CH 3. Turn. Row 5 – ((CH 3 counts as first DC)), * BPDC (back post double crochet) into the next 2 sts, DC, DC, 4 BPDC into the next 4 sts, DC, DC, DC, 4 BPDC into the next 4 sts, DC, DC, BPDC into the next 2 sts, DC, DC, DC, DC. Repeat from * all the way across. CH 3 Turn. Row 7 – ((CH 3 counts as first DC)), * BPDC (back post double crochet) into the next 2 sts, DC, DC, 4 BPDC into the next 4 sts, DC, DC, DC, 4 BPDC into the next 4 sts, DC, DC, BPDC into the next 2 sts, DC, DC, DC, DC. Repeat from * all the way across. CH 3 Turn. Row 8 – ((CH 3 counts as first DC)), DC into each of the next 3 sts. *skipping over the first post st you place a FPTC (front post triple crochet) into the next st. ((watch video for instructions on this stitch)) WORKING BACKWARDS IN FRONT you will place a FPTC into the skipped st. Working forward you will DC, DC. Skipping over the first 2 post sts place a FPTC into the next 2 sts. WORKING BACKWARDS IN FRONT you will place a FPTC into the 2 skipped sts. DC, DC, DC. Skipping over the first 2 post sts place a FPTC into the next 2 sts. WORKING BACKWARDS IN FRONT you will place a FPTC into the 2 skipped sts. DC, DC. Skipping over the next post st, place a FPTC into the next st. WORKING BACKWARDS IN FRONT place a FPTC into the skipped st. Repeat from * ending with a DC in the top of the CH 3 of the previous row. CH 3. Turn. Row 9 – ((CH 3 counts as first DC)), * BPDC (back post double crochet) into the next 2 sts, DC, DC, 4 BPDC into the next 4 sts, DC, DC, DC, 4 BPDC into the next 4 sts, DC, DC, BPDC into the next 2 sts, DC, DC, DC, DC. Repeat from * all the way across. CH 3 Turn. Row 10 – 80 : repeat rows 2 – 9 ** the last row will end with a CH 1. Turn. row 81 – SC all the way across. At this point, you can either add a border or leave the blanket as-is. I did a simple SC border all the way around. If you do this, be sure to add 3 SC in the same stitch at each corner so your corners will be symmetrical. If you are totally confused, I urge you to watch the video tutorial below! 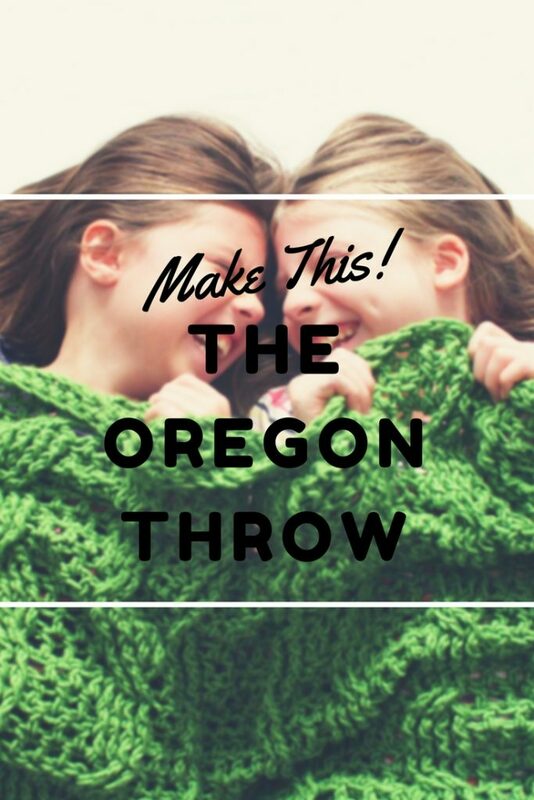 Don’t have time this weekend to make the Oregon Throw?